For some people going to the spa to get a massage or getting a pedicure is the ultimate in relaxation and stress relief. Not me. Cooking takes me to my happy place. So even when I’ve had a super stressful day, whipping up a meal brings me a sense of accomplishment. That said I’ve been in a food rut lately. What’s a food rut? When you’ve made the same meals over and over again and need some inspiration. For me this happened when my son went to college and I was just cooking for two. At the same time I was also launching my marketing company. At the end of the day I’d rummage through the pantry and the fridge and found myself making the same dishes over and over again. 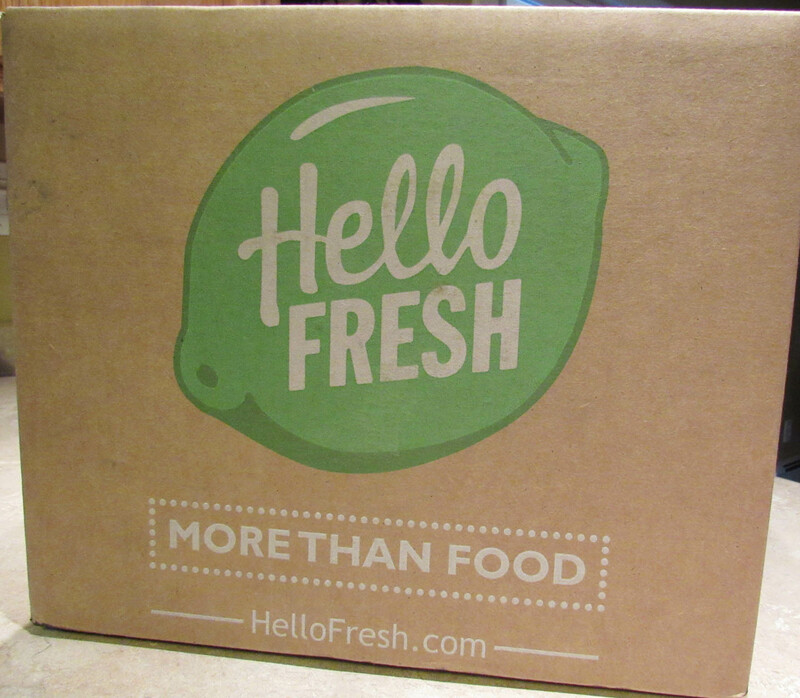 So when a friend who is also an avid cook told me that he and his wife had subscribed to Hello Fresh I was intrigued. He gave me a promotion that allowed me to get started at a discounted rate and I signed up. Signing up was easy. I chose to get three meals a week that would serve two. 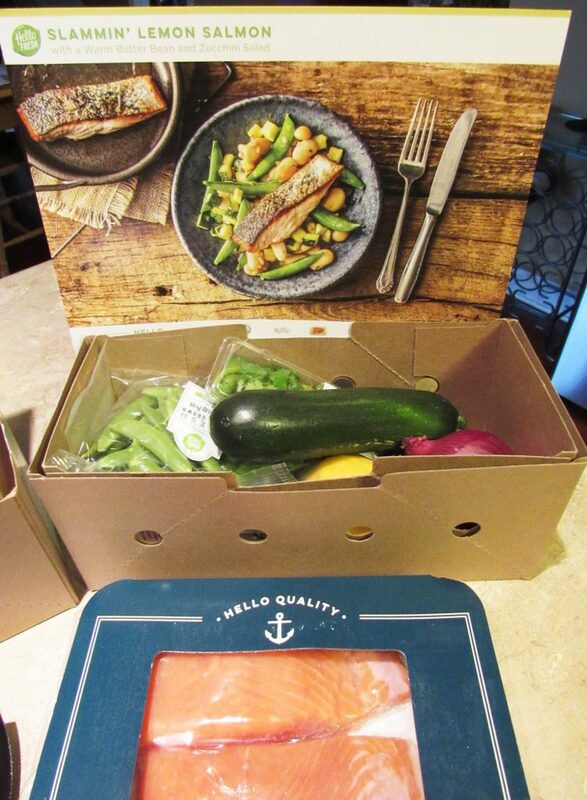 Hello Fresh chooses what you get BUT you can switch your choices. Some of the changes can be made without any additional charge; others are premium meals that have a small upcharge. I was stoked. I’d be lying if I didn’t admit that it was pretty exciting to see the UPS man bringing the box to the door. 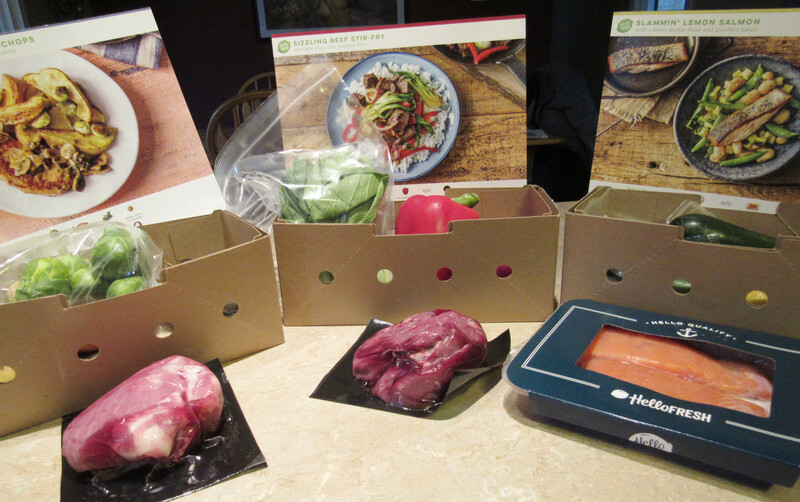 The box includes detailed instructions for each meal. Insulated packaging is inside. Ingredients for each meal are packed in their own box; proteins are packed separately, under an ice pack, to keep them cold. 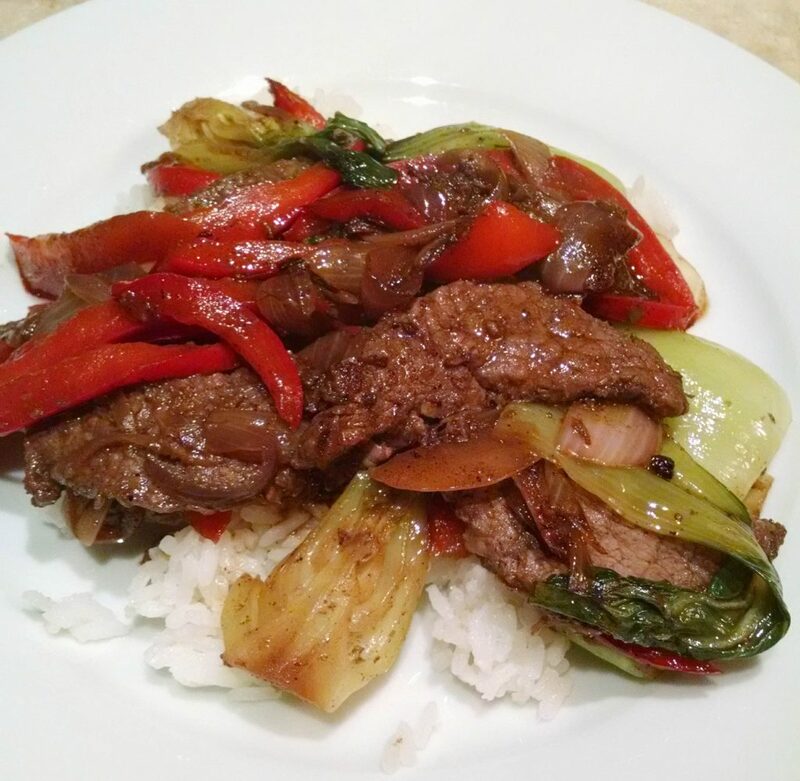 My selections for the week: Sizzling Beef Stir-Fry with Bok Choy over Jasmine Rice, Slammin’ Lemon Salmon with a Warm Butter Bean and Zucchini Salad and Creamy Mushroom Pork Chops with Roasted Brussels Sprouts and Crispy Potatoes. Everything we made was delicious. 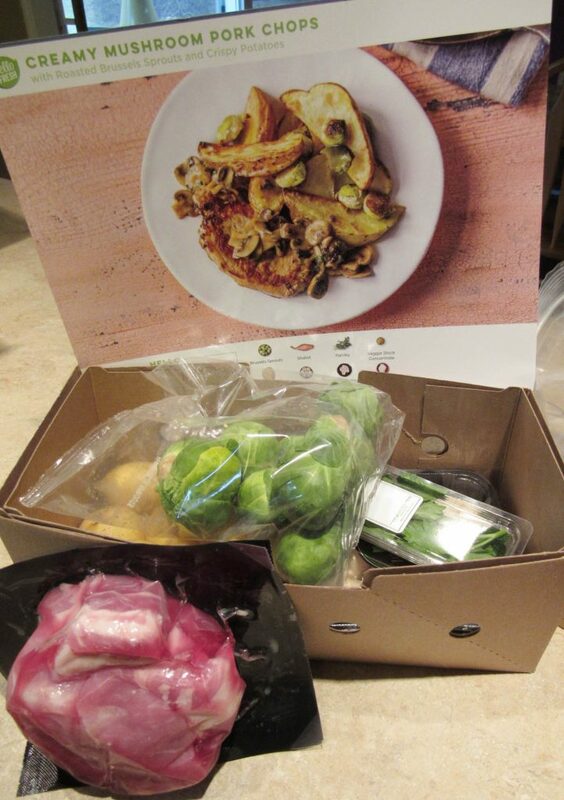 The instructions were easy to follow and I was pleased to see that every meal turned out like the picture Hello Fresh sent. See what I mean? What I learned about myself is this: I am a total control freak. I’ll explain. I actually LIKE figuring out a recipe and experimenting with the ingredients. I rarely follow a recipe to the letter unless I’m baking. I also learned that I’m not good at following instructions. And, oddly enough, I don’t like the pressure of having to cook within a certain time period. By that I mean that I needed to make all the meals that week. Typically I purchase fresh food that gives me some wiggle room and I stock up on proteins and have them portioned out in my freezer. To be fair, I could have frozen the proteins and made most of the meals later in the week but that would have defeated the purpose. I mean it’s called Hello Fresh for a reason, right? 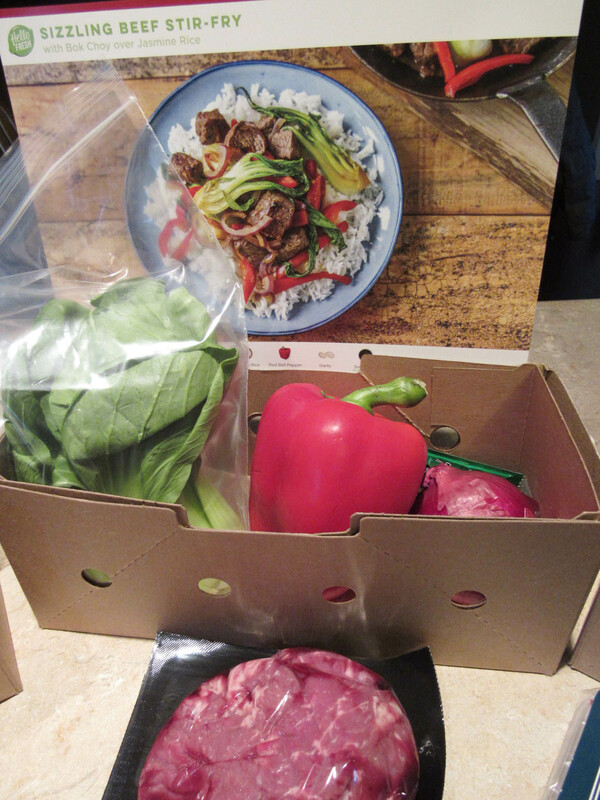 So, yes, I’m being silly but let’s get down to how Hello Fresh helped me get out of my food rut. 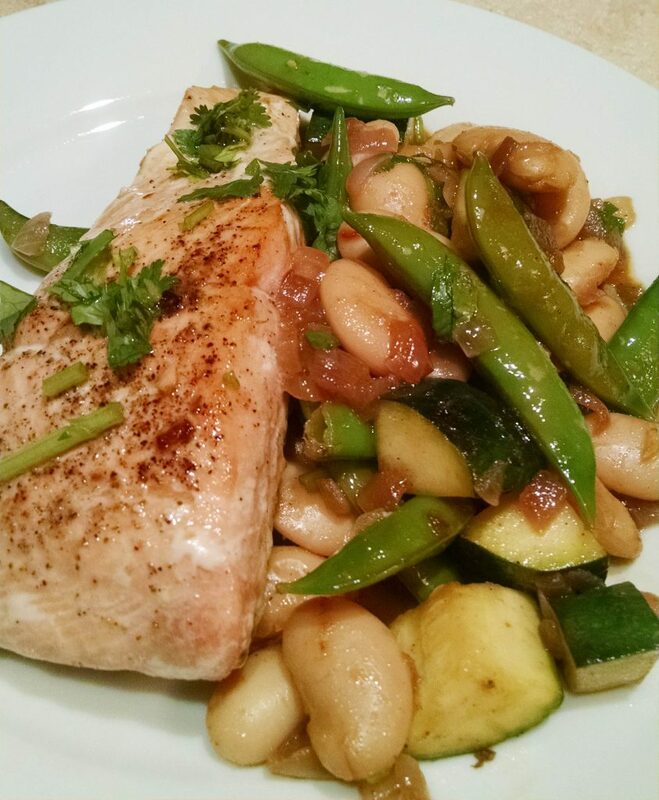 I like the variety of meal choices and that you can choose the frequency of the meals you get for the week. I also like that you can put your meal plan on pause. By the way, the portions are HUGE. I also think that it was a great way for us to have a date night at home. Both of us made the meals and usually it’s just me. 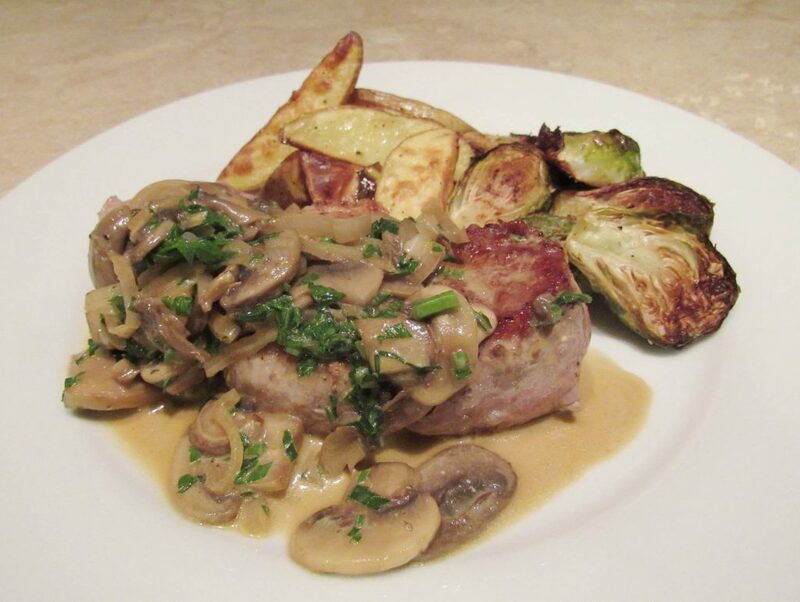 And if you’re a novice cook, you will find that the instructions are easy to follow. The recipes assume, though, that you do have some basic cooking knowledge and ingredients like butter in your home. I also appreciated the techniques that you learn when you follow the recipes. I’ve made rice a million times and used my sheet pan to make whole meals but I learned a few tips that I’ve been using since. I appreciate the inspiration the recipes have given me. I’ve since discontinued the service but would still highly recommend it. Have you tried it? What did you think? I’d love to hear from you.